A unique way that Wornick builds a respectful community for the entire school is through our Chavurot program. Chavurah means a group of friends in Hebrew, and this program provides leadership opportunities for older children and a way for younger children to create meaningful connections with older students. The entire school is divided into twenty-two chavurot (friendship groups) each containing a representative from each grade (TK-8) and a teacher. Children remain in their same chavurah throughout their years at Wornick. Each month, the groups meet to work together on an engaging, hands-on activity, such as a design challenge, service learning opportunity, or collaborative project. Each grade takes a turn leading the project, so each month a different member of the Chavurah has the opportunity to lead the group. 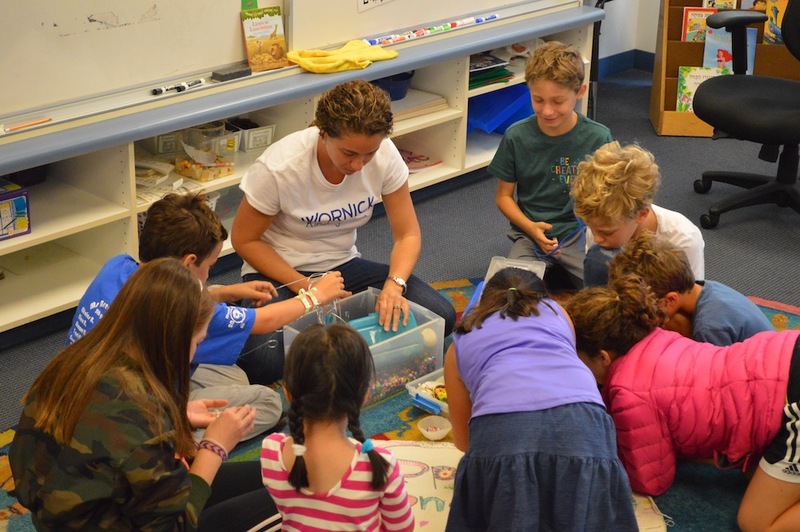 Ronald C. Wornick Jewish Day School develops students who are socially and academically prepared to meet their full potential as engaged leaders committed to a life steeped in Jewish ethics and values.